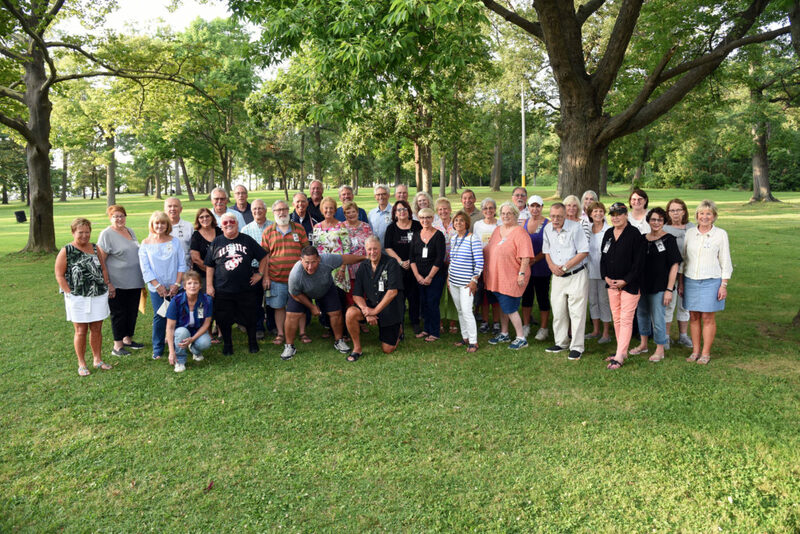 Nearly 60 classmates of the Fredonia High School Class of 1968 celebrated 50 years since graduation with events over three days. A picnic at Point Gratiot on Friday, Aug. 3, kicked off the weekend. On Saturday, Aug. 4, friends gathered for a guided tour of Fredonia High School conducted by Principal Darrin Paschke. In the afternoon, a few classmates played a round of golf at Shorewood Country Club. Saturday evening featured a sit-down dinner at the Clarion Hotel. A special “In Remembrance” ceremony was held to honor the 29 deceased classmates. Classmates were given the opportunity to reflect on classmates who made a lasting impression on their lives. A white candle was lit for each deceased member and placed in front of his or her picture on the Remembrance boards. It was a time of much laughter, tears, and reflection of good times gone by. Dancing to the music of Passion Works topped off the evening. The Dunkirk Lighthouse was the setting for a farewell gathering and touring on Sunday, Aug. 5, in conjunction with Dunkirk and Mindszenty Classes of 1968. Committee members who planned the reunion events for the past year included: Mary Tomkiewicz Bamonto, Phyllis Borzilleri Crockett, Karen Tauffener Davis, Anne Rotunda Dean, Cynthia Coniglio Fitzgerald, Rochelle Mancuso Hennessey, Frank Leone, Mark Manly, Mike McEntarfer, Sue McTigue Rodgers, and Daryl Bleck Spacc.